Thank you to all those joined us at CMS Summer School this year. We hope you found your week refreshing, inspiring and challenging. Why not put Summer School 2020 in your diary and make sure you’re here again next year! Simon worked as a teacher before studying at Moore Theological College. He trained in ministry in southern Sydney and then moved to the UK, where he continued his training in central London. 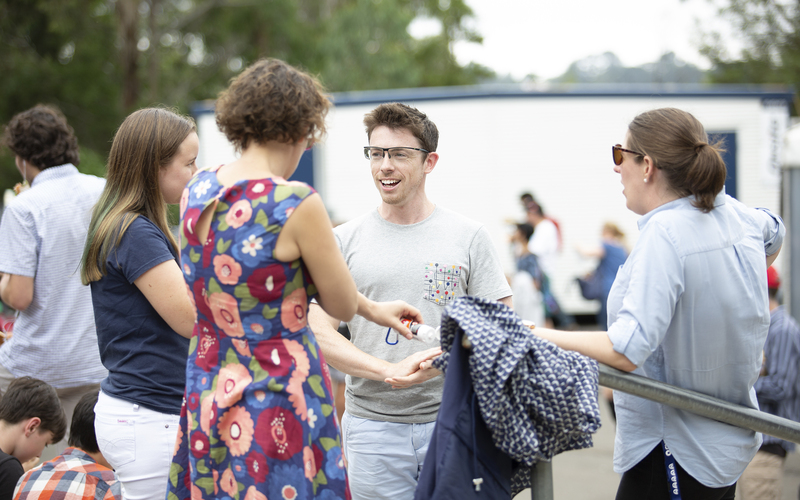 Back in Australia, Simon ministered to business people, students and families in North Sydney, where he also served as chaplain to a local Rugby League football team. Simon has also been a speaker at various conventions in Australia and overseas. He currently serves as the senior pastor at St Thomas’ Anglican Church in North Sydney. He is married to Kathy with three adult children. Be refreshed and energised for the year ahead! At CMS Summer School, you'll find engaging Bible teaching from world-class speakers, diverse and topical missionary sessions, great music, focused prayer and fellowship with friends. We'd love to see you there! Be greatly encouraged and a blessing to others as you’re surrounded by God’s family. Be inspired to step out in faith as CMS missionaries tell stories of Christians in other nations persevering and growing in their faith. Begin 2020 being deeply rooted in the word of God, letting him teach and lead you.